This is it. The Best Badge Holder Ever. It's only logical. We've paired our favorite Badge Reel with our favorite Badge Holder. This all in one solution has everything you need in one compact and tight looking combo. 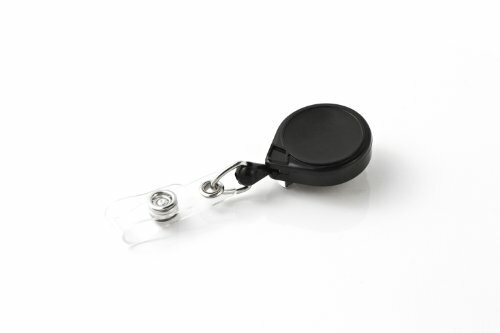 Start with a USA made Key Bak Retractable Badge Reel with Polycarbonate Casing and a Kevlar cord. Super durable with a lifetime service warranty from Key-Bak. Holds up to 4oz without sliding down. 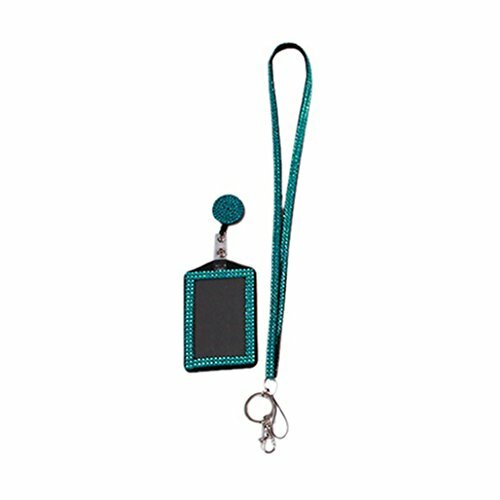 It comes with both a badge strap and a Key Ring so you have all you need at your fingertips. 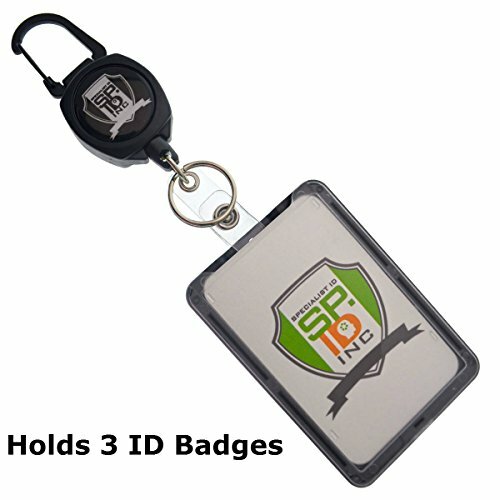 Next, add our super secure Polycarbonate top loading THREE card ID Badge Holder which holds one visible credit card sized badge in the front and two standard credit card sized ID badges (Or one thicker card) hidden in the back slot. Independent front and back levers slide card through the top when you need to remove it. Simply load up to three badges from the top and they stay secure and at the ready at all times. When you need to remove to swipe your card, just push up on the discreet thumb notch on the back and your card pops right up. Independent controls for front (visible) and back (hidden) cards. Note: Two cards in back will eject together. 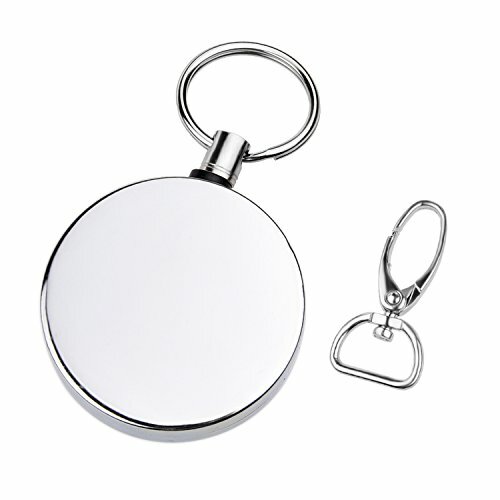 Kare & Kind offers high quality, heavy duty retractable reel with Belt Clip and key Ring . We offer multiple sizes to suit your needs. The reels are chrome plated, which will look sharp with anything. The belt loop clasp allows this reel to easily be attached to a belt or pants. 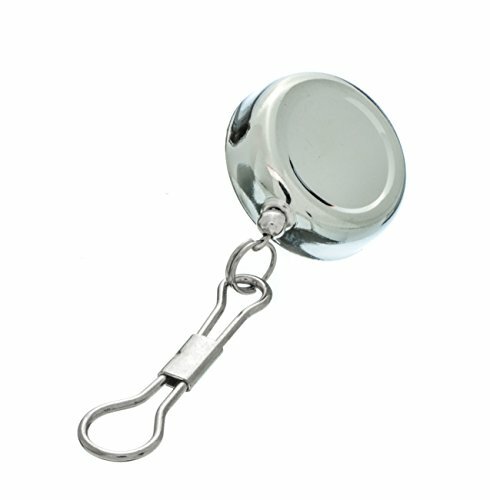 We use a heavy duty stainless steel chain pull, metal Ring and quick release hook. 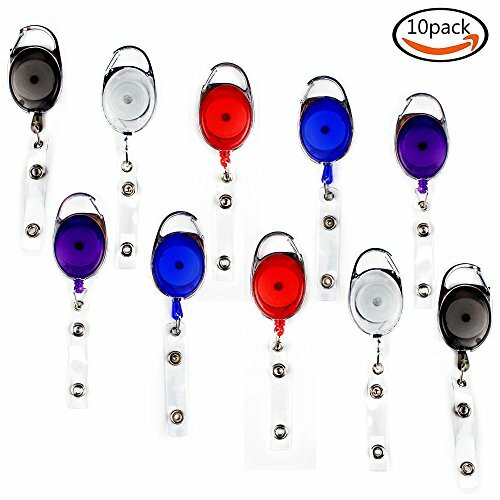 This retractable Reel set is perfect for your Keys , ID Badges, Access Control Cards, Whistles, Eyeglass Holders, Lanyards or a variety of other items. Click Add To Cart at the top of the page to get yours! Contents:1 x Retractable Reels (28 inch chain) Dimensions: 1.58 inches x 0.47 inches Kare & Kind® If for any reason you are unhappy with any product by Kare & Kind®, please do not hesitate to contact us. We take full ownership and responsibility for the quality of our products and will do our very best to solve your problem quickly and efficiently! Kare & Kind®-USPTO#86207264 - is a registered trademark protected by US Trademark Law. Kare & Kind® products are sold by authorized sellers only. This item ships in Kare & Kind® retail packaging. 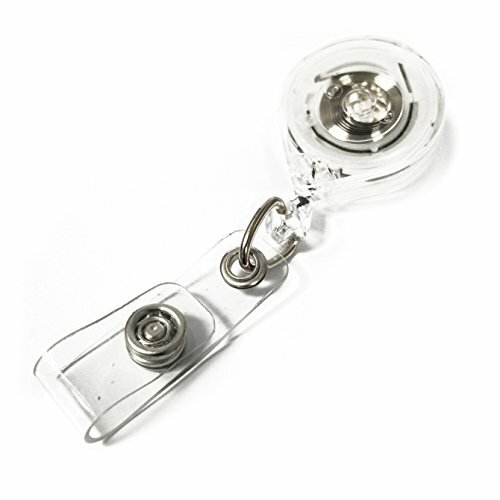 The SE 202JCC Retractable Clip-On Chrome Plated Pull Reel Key Chain ID Holder, 1" is chrome plated with a metal body and a clip-on attachment on the back. Our pull reel has a retractable 18-1/2" stainless steel cord with nylon coating for extended reach and quick and easy access when you need it. 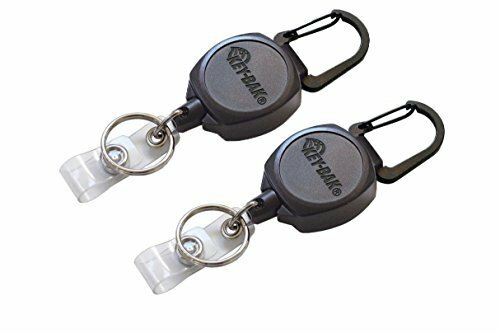 Do not lose your keys, name badge, garage door opener, or anything you want to have readily available and secure from loss by attaching your valuables to our durable retractable pull reel. This is great for holding keys, ID, badges, wallet, folding knife, flashlight, car alarms, whistles, garage door openers, and more. SE is committed to providing the customer with the best source for value possible on the market. 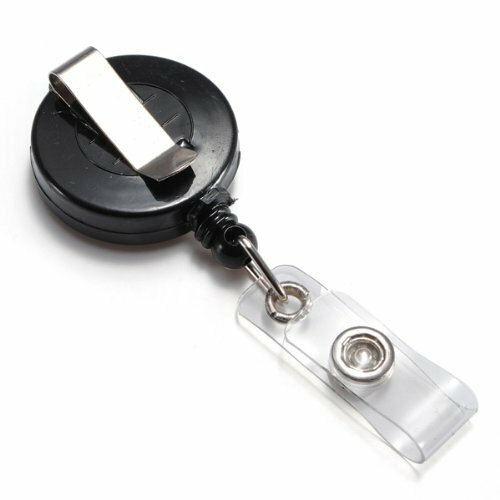 You will enjoy the quality, function and usefulness of our SE 202JCC Retractable Clip-On Chrome Plated Pull Reel Key Chain ID Holder, 1". IPR Rights Notice: Important: Avoid getting counterfeit items. Genuine SE products come with the SE logo on the packaging. SE is a registered trademark protected by US Trademark Law. Looking for more Key Id Reels Holders similar ideas? Try to explore these searches: Tamiya Clod Buster, No Load Stock, and Origami Swan. Shopwion.com is the smartest way for comparison shopping: compare prices from most trusted leading online stores for best Key Id Reels Holders, Trailer Winch Post, Door Phone, Reels Holders Id Key . 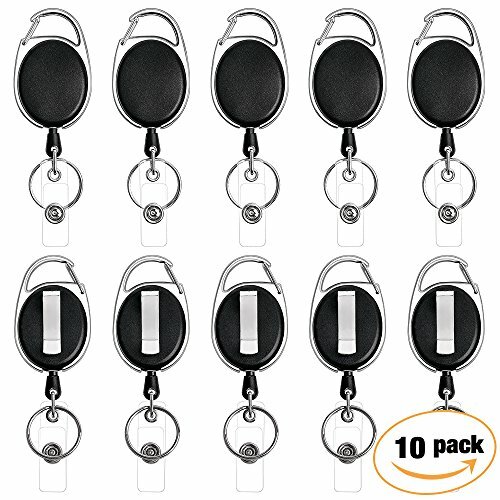 Don't miss this Key Id Reels Holders today, April 24, 2019 deals, updated daily.